Palmerbet Sports Team’s Premier League Preview has EPL Tips for every match of Week 24, including Leicester City trip to Anfield to take on Liverpool. Final Thoughts: Fifth-placed Arsenal have been patchy over the past six weeks and are desperately seeking consistency. 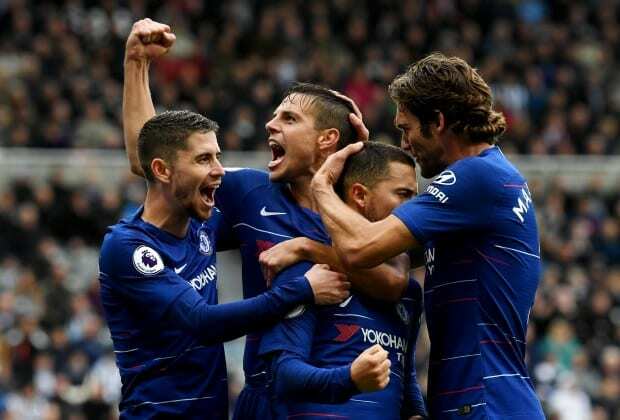 They bounced back from a shock loss to West Ham with a 2-0 win over Chelsea in Week 23, but crashed 3-1 to Man United in FA Cup action on the weekend. Final Thoughts: Fulham are deeply entrenched in the relegation battle, second-last and seven points away from safety. After a bright post-Xmas patch, the Cottagers have lost three straight – including an agonising 2-1 defeat to Tottenham in Week 23 thanks to a stoppage-time goal. Final Thoughts: Huddersfield are rapidly running out of time to avoid relegation, running last with just two wins and five draws in the bank. A scoreless draw against fellow battlers Cardiff is the only point Town have mustered from their past 10 games. A league-low 13 goals is at the heart of the side’s problems. Final Thoughts: Wolverhampton’s thrilling 4-3 win over Leciester in Week 23 – after two convincing losses to Palace and Man City in their previous two – catapulted them into eighth spot. Wolves are hunting their fourth win from their last seven home games. But both teams have been in prolific goalscoring form of late while also conceding plenty, so look to the over as a value play with no obvious favourite standing out. Final Thoughts: Manchester United’s stunning revival has picked up irresistible momentum, winning six straight EPL games since Jose Mourinho’s departure. They also carved out a 3-1 FA Cup victory over Arsenal over the weekend. Final Thoughts: Newcastle made a timely return to the winner’s circle in Week 23, chalking up their first victory in over a month with a 3-0 walloping of Cardiff City. It was the 17th-placed Magpies’ highest score of the season (after netting just two goals in their previous five games) and their first winning margin of more than one goal. Last meeting: December 19, 2018 (League Cup): Chelsea 1 d Bournemouth at Stamford Bridge. Final Thoughts: AFC Bournemouth’s early-season shine has worn off, but they remain solid in 12th after a 2-0 win over West Ham in Week 23. The Cherries came into the match after losing nine of their previous 12, negating their overachieving start to the campaign. There’s solid value in Chelsea given the gulf in class between the sides and how much the Blues need these three points. Final Thoughts: Southampton and Crystal Palace are tied for 14th on 22 points, with relegation danger hovering a mere three points away. The teams both approach this crunch clash with some handy form behind them. Southampton are favourites at home but with Palace buoyed by some of their recent giant-killing efforts, we like the draw here. Final Thoughts: Liverpool still hold a four-point lead at the top of the EPL ladder, despite having a few problems in beating Brighton (1-0) and Palace (4-3) since their sole loss of the season to Man City in Week 21. Final Thoughts: Tottenham remain in third spot but have not had the best time of it in recent weeks. They have lost two of their last four league games and needed a stoppage-time goal to get past Fulham in Week 23, while they crashed out of the EFL Cup semis to Chelsea and the FA Cup fourth round to Palace over the past few days. Watford shape as a tricky opponent for out-of-sorts Tottenham and it’s worth keeping the possibility of a draw handy as an option.